So I decided to have a go creating my own, using Deborah’s “template”.That includes zip ties, a centre bamboo stake, a mixture of greens, and subtlety. 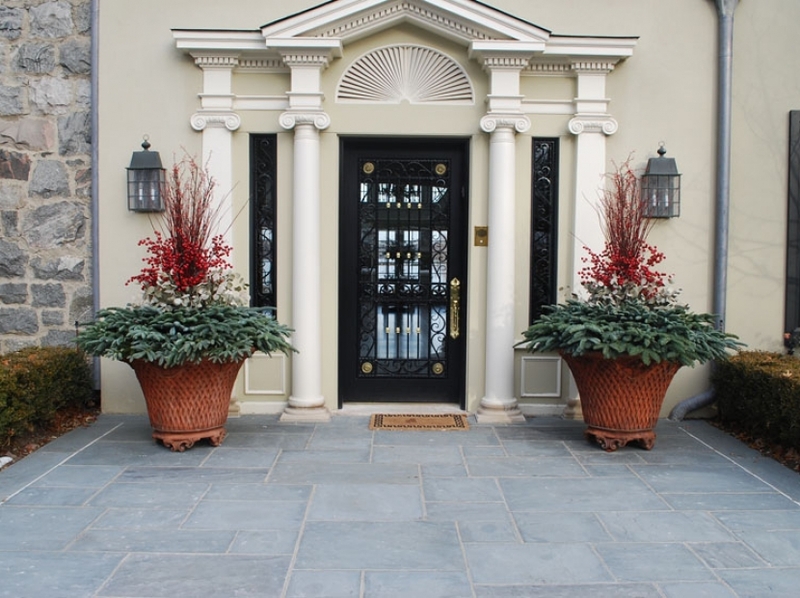 One thing that’s not obvious at first glance is that all the above containers were full of heavy wet potting soil, which gives a nice solid medium for these top-heavy creations. They were previously filled with plants of some kind–probably annuals, since there’s nothing left of them. In my case since I don’t (or barely) plant annuals, I have containers with either dormant perennials, or shrubs with bare patches. 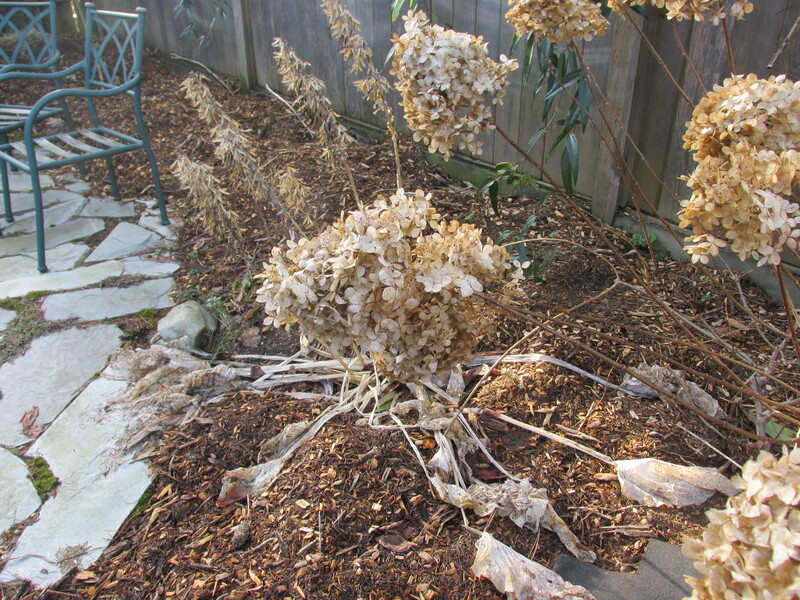 Since my camera or computer corrupted some of the pre-pictures, I can’t show you what these looked like before I started winterizing them. 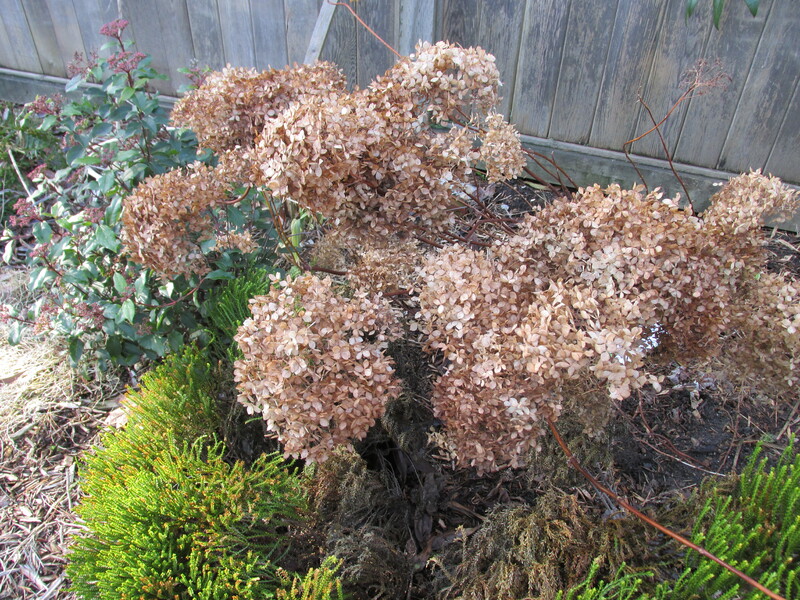 One held long-since faded pink chrysanthemums which I cut down. Another just a boxwood with a lot of empty space around it. 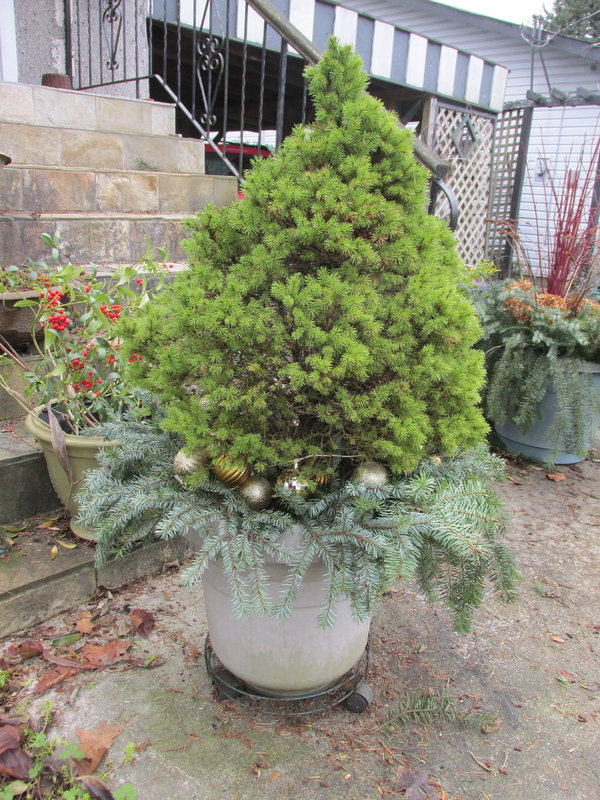 And the third (least successful I’m afraid–I’ll continue to work on it…) a Dwarf Alberta Spruce in a too-small container. Mostly Douglas-fir, with a little spruce (Abies) of some kind. Harvested from Central Park after a big wind storm. And some from my back yard. 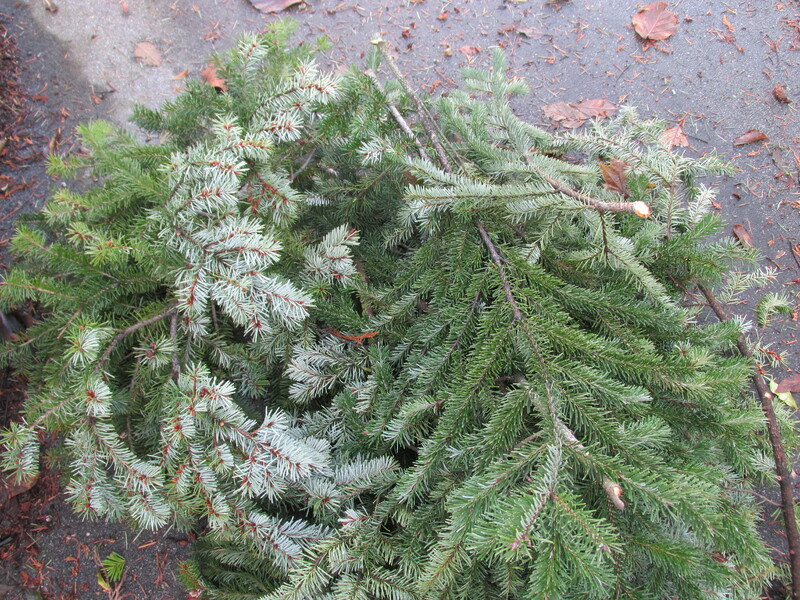 Really, Doug-firs are messy, with their brittle branches–even a little wind leaves a lot of Douglas-fir debris. The main foundation for my additives is conifer branches. I’d love to have had some cedar and some pine, but there weren’t any (free) windfalls. 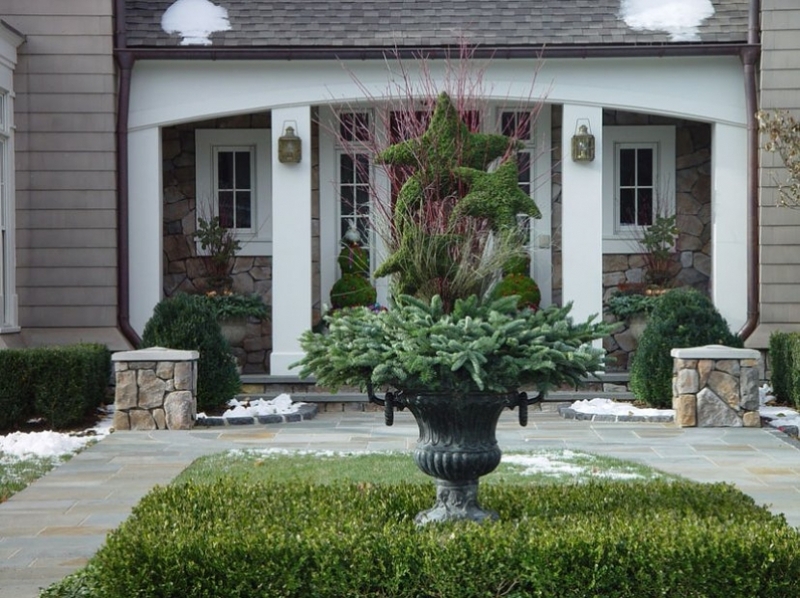 A mixture is good, but in my opinion, if you already have an evergreen shrub that you’re building around, two more different greens is ample, more begins to look a little busy. 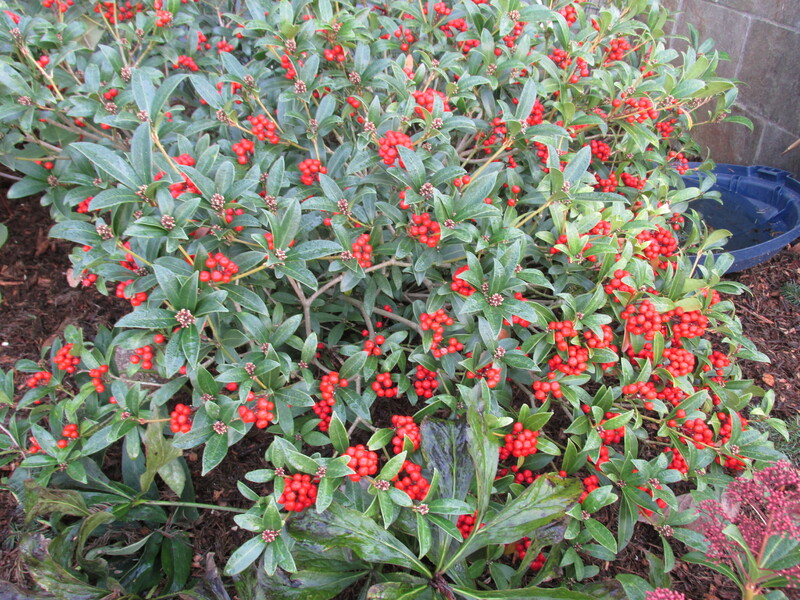 Skimmia, in all it’s winter finery. If the birds ate the berries, I’d be hesitant to use them. 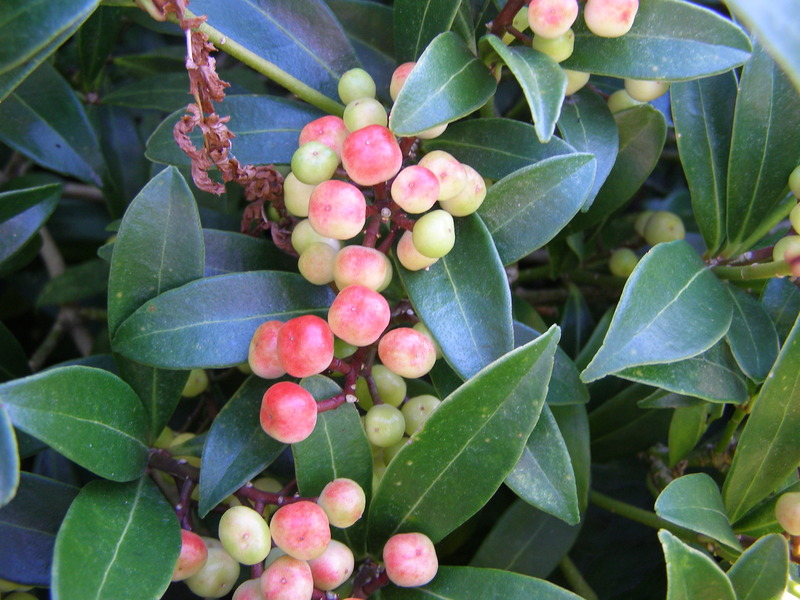 But for some reason, the birds don’t like skimmia berries. 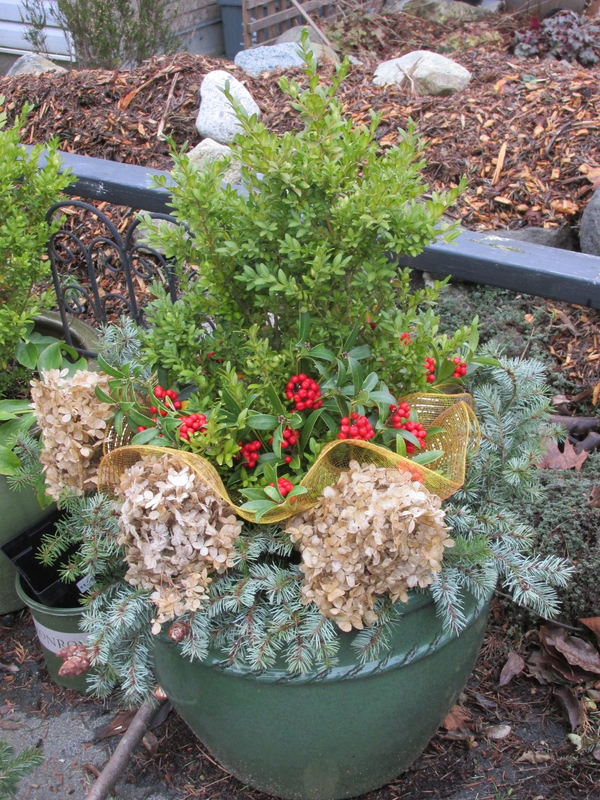 Skimmia is easy to prune, since it makes lots of low-to-the-ground branches that I’d prefer to be limbed up a bit. So a clip here and a clip there gives a lovely selection not only of the briliiant red berries, but another non-conifer greenery. Pyracantha–aka “firethorn”, for reasons that become patently obvious when you get close to it: 1-2″ thorns grace its branches. 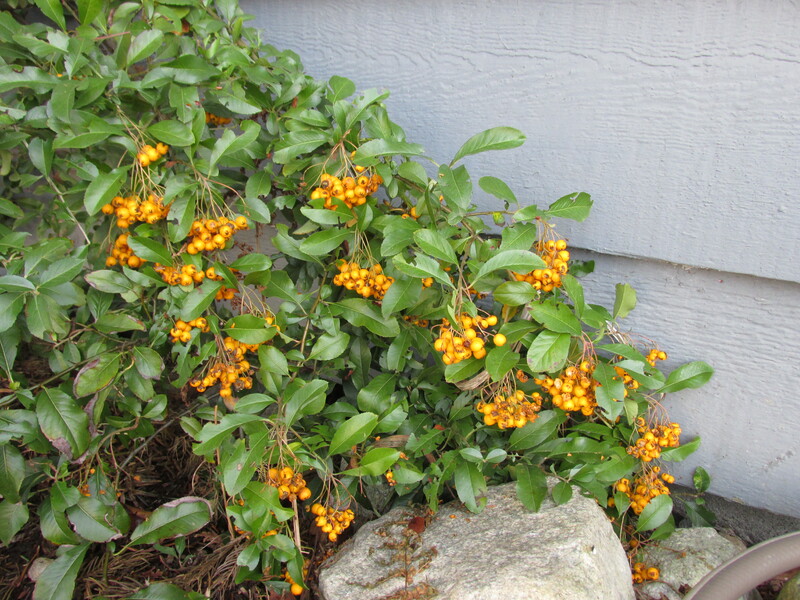 Pyracantha is another berry-bearing shrub that can be actively pruned for both it’s greenery and its berries. Just be careful of the thorns. Hydrangea blooms, faded of course, but still offering wonderful shape and texture, and even the brown colour takes on a bit of a gold glow when paired with greenery. 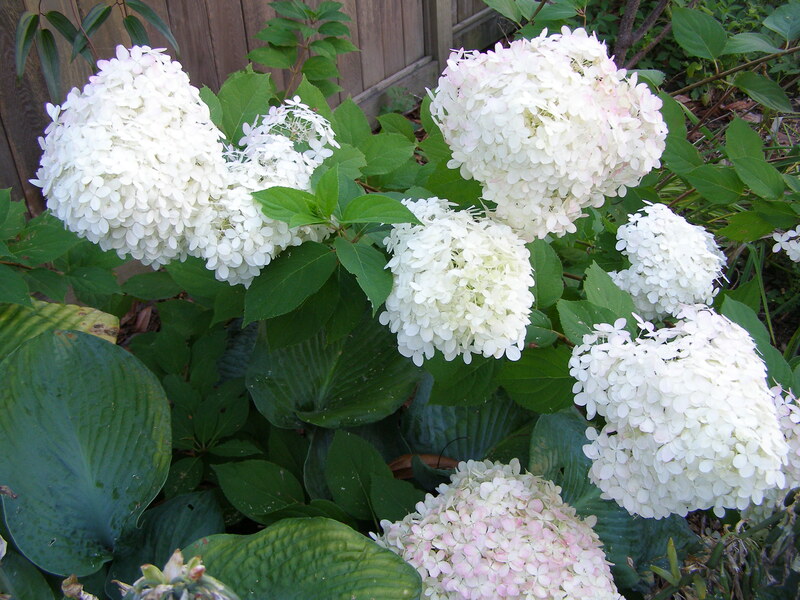 I used two different Hydrangea blooms–one is ‘Invicibelle’, pink when it’s fresh, with tiny individual blossoms, much smaller than most hydrangeas. 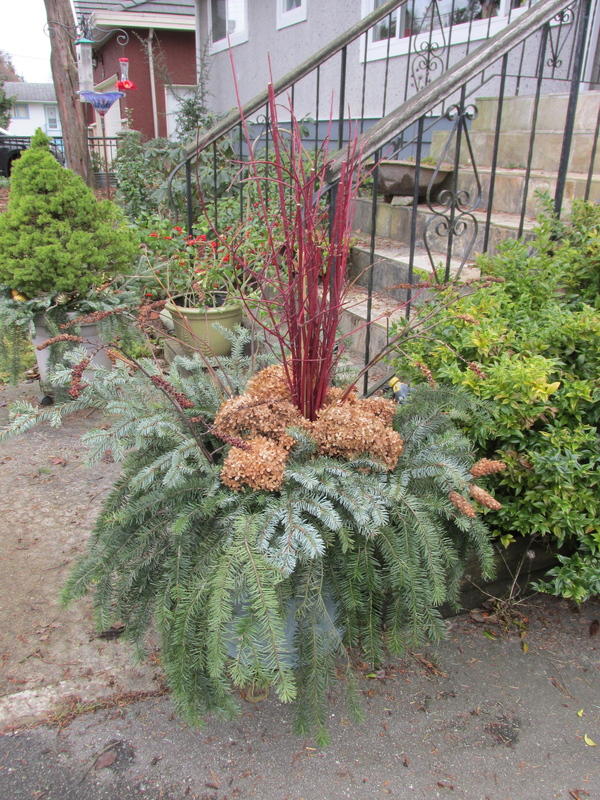 The other I used is “Limelight”, with panicle-shaped blooms. Here are my final products. Dwarf Alberta Spruce with Douglas Fir branches. The least successful of my attempts, but I’ll do some work on it and try to post a better version later. This container had the faded mums, so I’m basically starting with an empty space. So the red dogwood branches provide the height in place of the shrub or tree in the others. Then came the conifer branches, mostly Douglas-fir. The light blue/silver is actually just the underside of the Doug-fir, providing colour variation, but same texture. There is also some silvery spruce which are more densely needled, and stiffer, so they stand up better. The Doug-fir with its weak branches tumbles over the edge, hiding the not very attractive container. 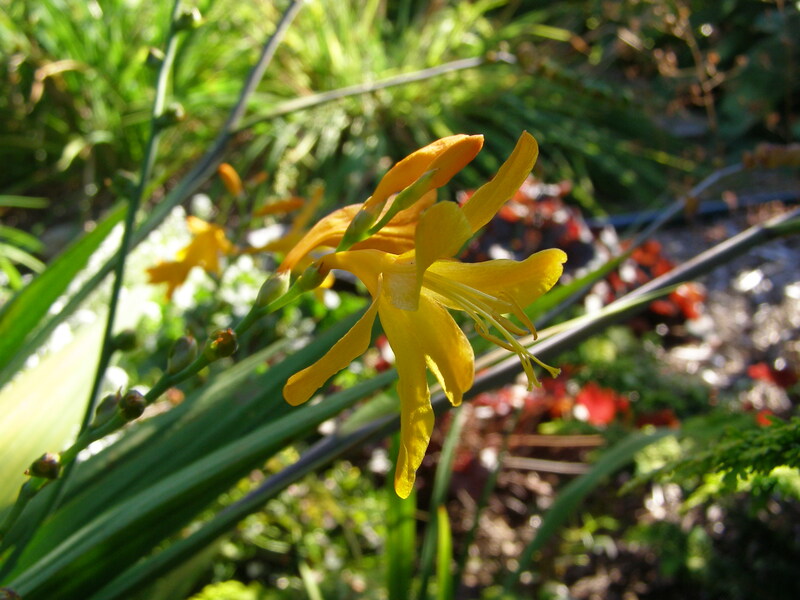 And a few crocosmia stems with their seed heads are sticking out like satellites! Boxwood, spruce, skimmia, hydrangea, and gold garland. I must confess to having a somewhat boring fall garden. 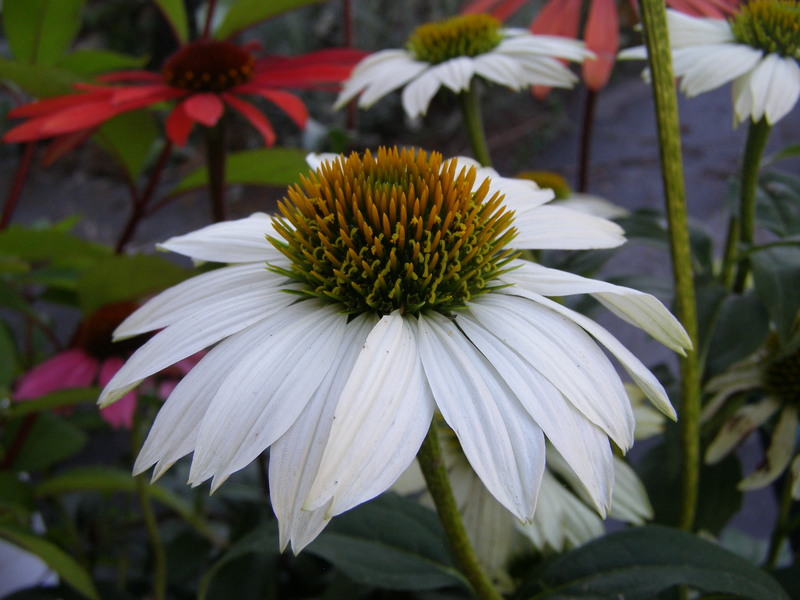 The asters aren’t out yet, the rudbeckia have thinned out too much, and the echinacea is mostly in the back yard (altho’ if I ever get a moment to do some planting, there are three different echinacea varieties to go out into the front yard). 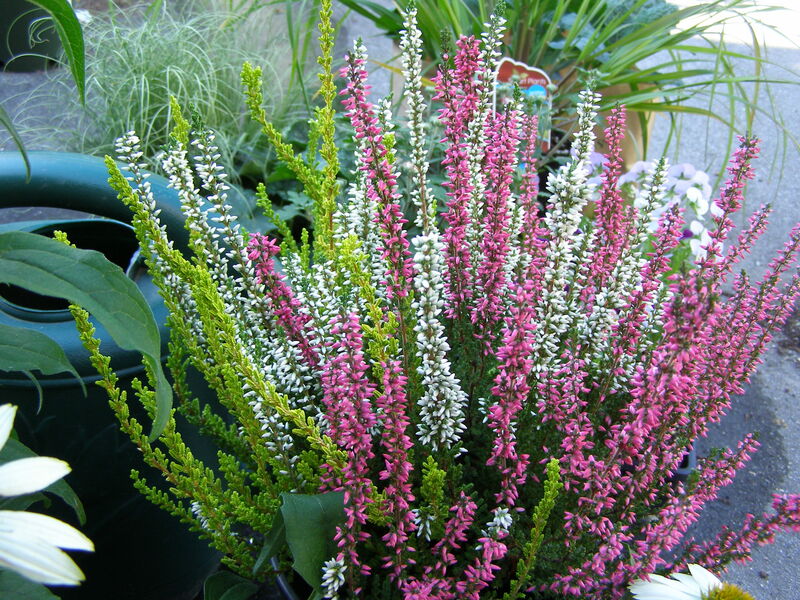 Three different (un-named) varieties of Calluna vulgaris (heather). They’ll be potted up in a nice big planter with some grasses and pansies and mums for a Fall container. 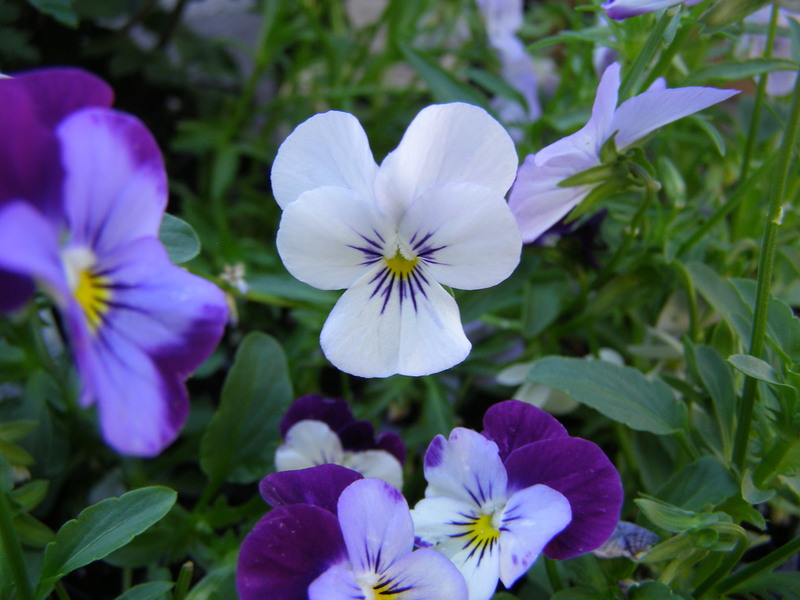 The pansies (violas) to go in the planter. 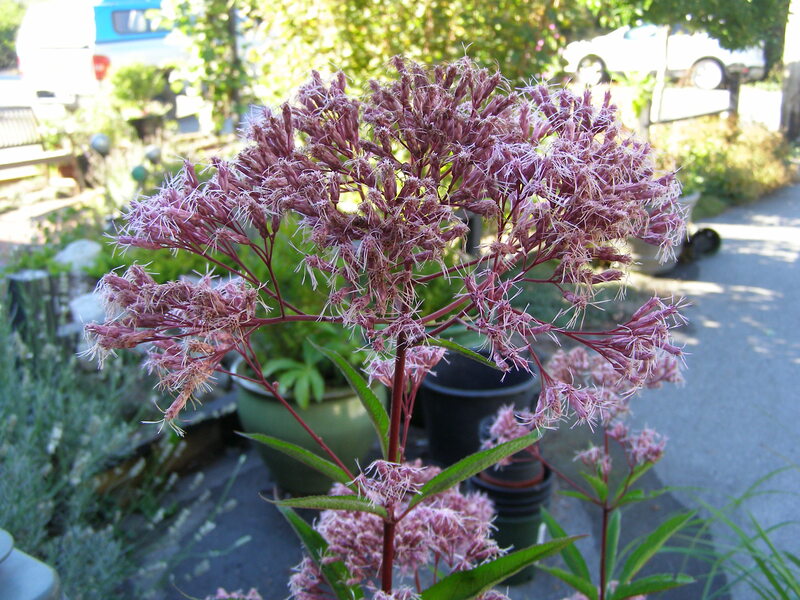 Eupatorium (Joe Pye Weed)–so excited to get this the other day–I’ve been wanting to add it to the garden for years! Oh dear, now renamed Eutrochium. 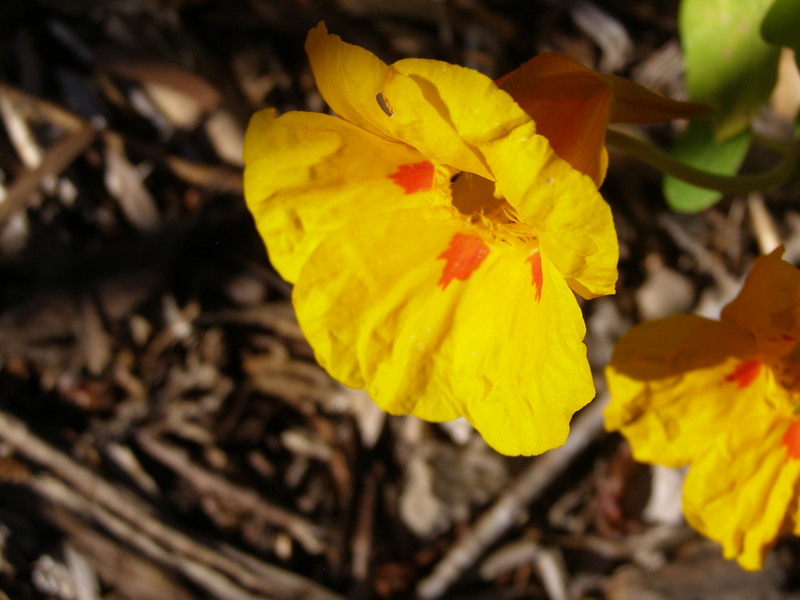 Nasturtiums–try adding the flowers to salads and the leaves to sandwiches. 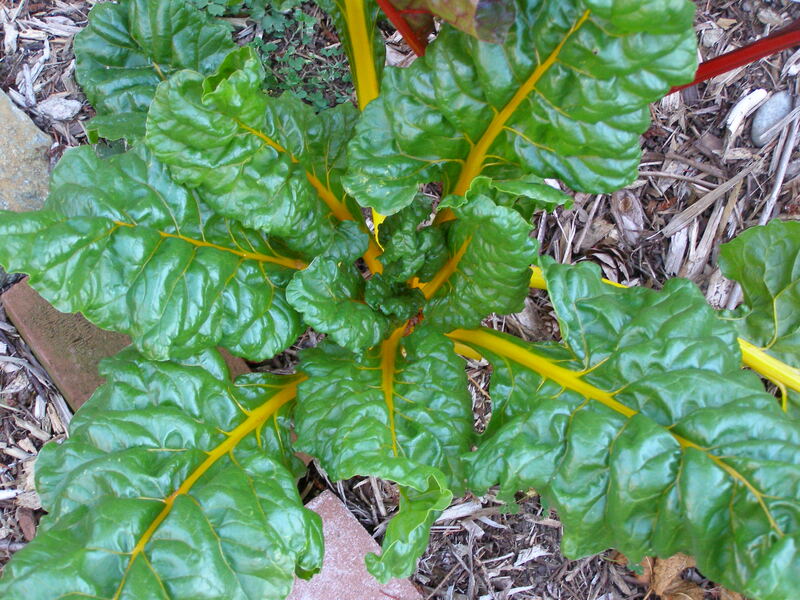 Even more colourful swiss chard. 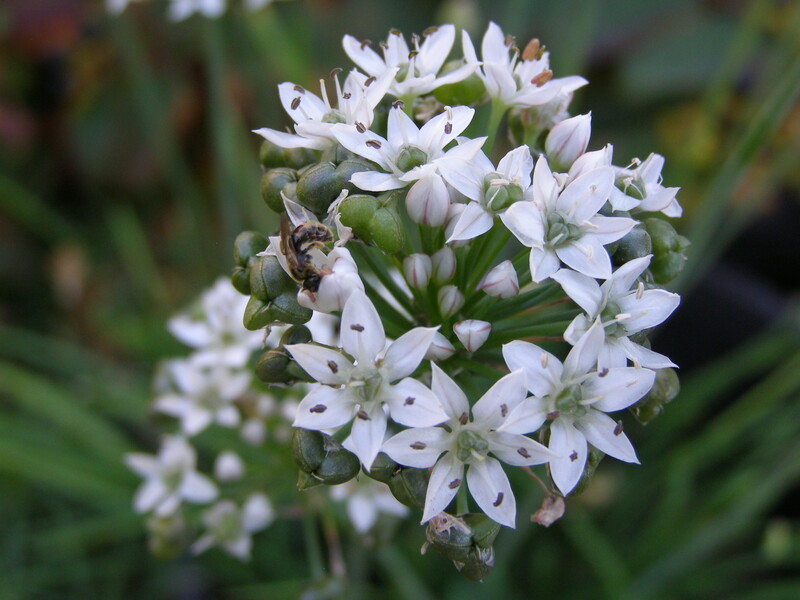 Garlic chives with parasitic (I think) wasp. 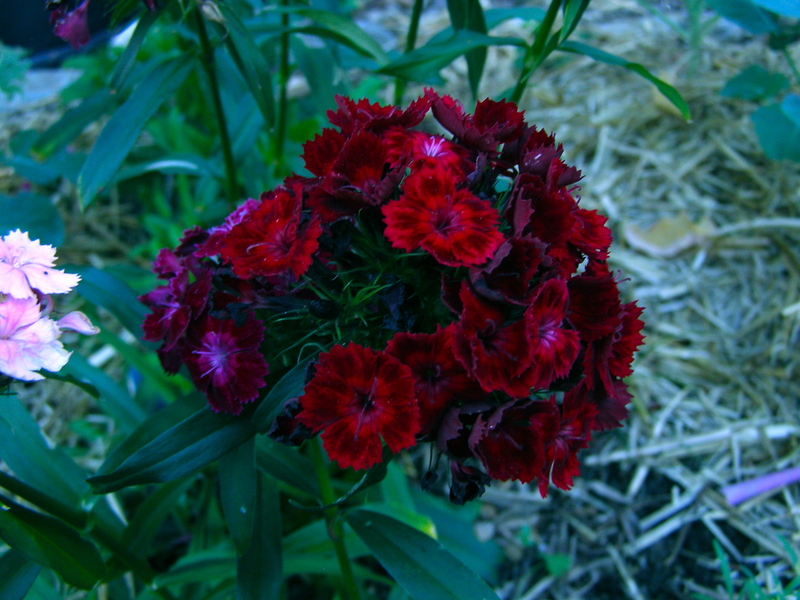 Amazing Sweet William (Dianthus barbatus). It took me ages to edit the colour of this to even approach the actual colour–which is still a little bluer than this. Hydrangea paniculata grandiflora ‘Limelight’–my current favourite hydrangea. It’s lost all its lime colouring and beginning to get tinged with pink. 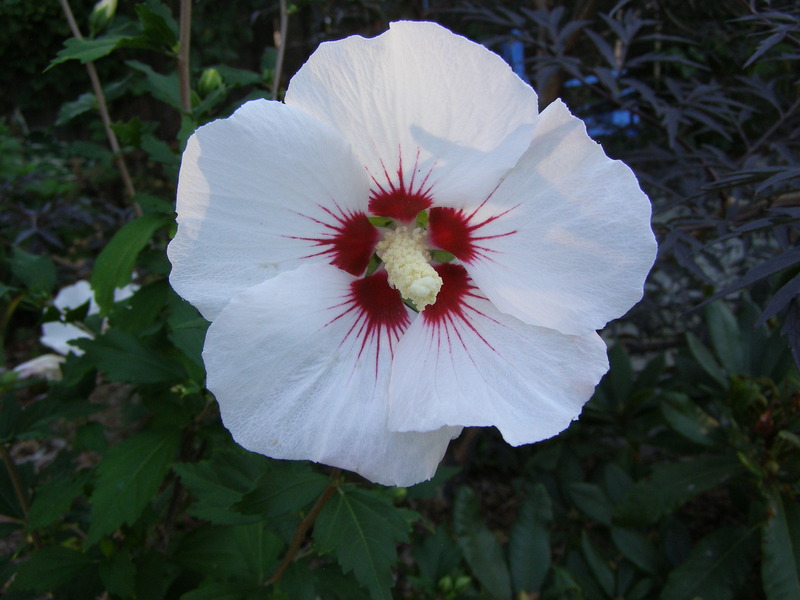 A couple years ago I was walking over to a friend’s house when I was arrested by the fragrance coming from a lovely compact shrub along the sidewalk. It took me a while to discover that it was Daphne laureola (Spurge Laurel)–which didn’t surprise me, because my experience with Daphne so far is that they are delightfully fragrant! 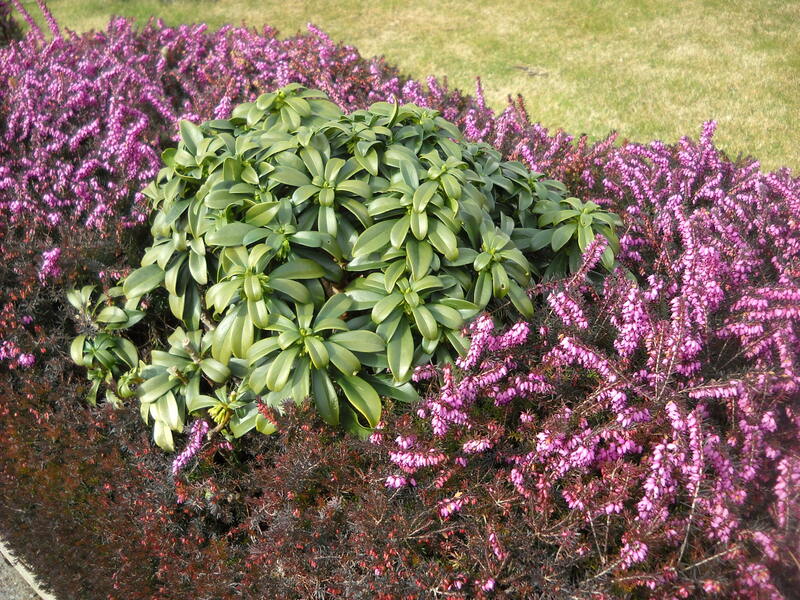 I have a Daphne odora ‘Marginata’, and my neighbour has (I think) Daphne x tansatlantica ‘Summer Ice’. Shiny, evergreen D. laureola amidst winter blooming Heather. You can just see flower buds starting under the top-most layer of leaves. Click on picture to enlarge. The unfortunate thing about all Daphnes is that all parts of them are toxic to humans when ingested, and sap can cause reactions on the skin. Now, that’s bad enough with the hybrid versions of Daphne, but with Daphne laureola, a species native to Europe, it carries more problems. 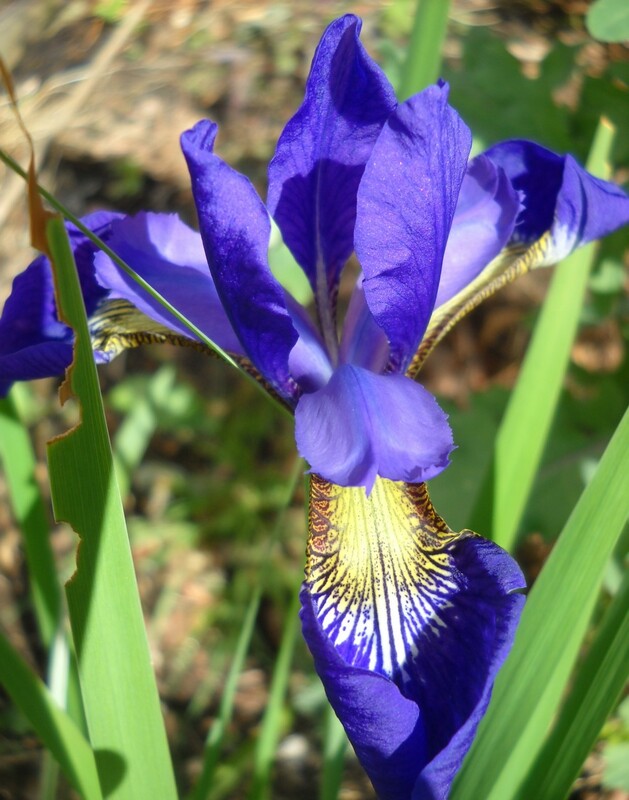 First of all (unlike the hybrids) it’s tolerant of almost all soils–although it’s native soil is alkaline, it’s doing just fine in our acidic local soil, and especially in wooded areas of the Douglas-fir and Garry Oak ecosystems. 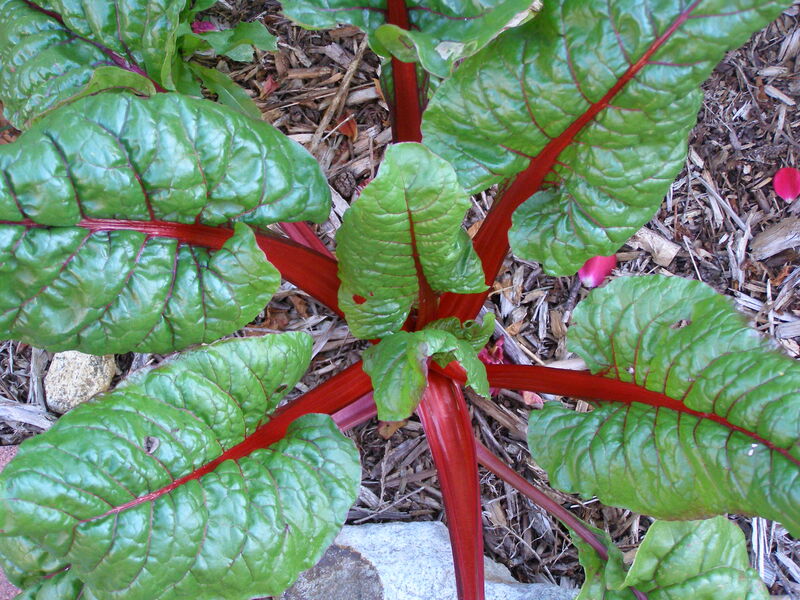 (See this article on the Vancouver Master Gardener website.) 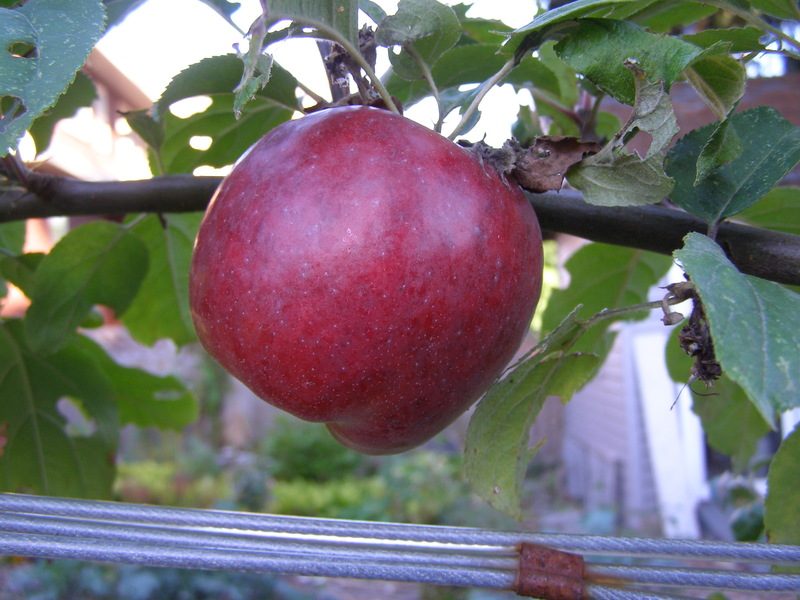 It also (unlike the hybrids) produces berries, toxic to humans and small animals, but not to birds. So the birds eat the berries and deposit the seeds wherever they fly, spreading Daphne laureola far beyond where it was planted. 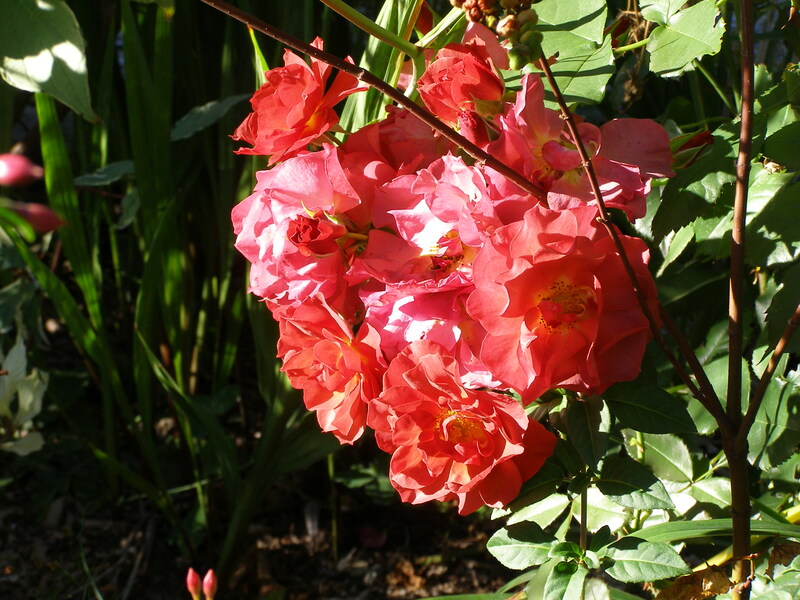 It is undeniably a pretty shrub, but it has too many disadvantages to justify planting it in your garden. 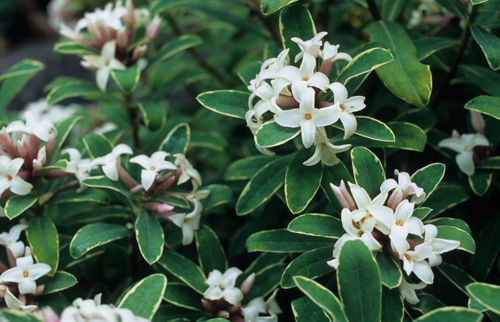 Alternatives that meet the same cultural needs include Skimmia, Sarcococca, Pieris, small Rhododendrons and Azaleas (although the last two aren’t fragrant), and even the beautiful Daphne odora and Daphne x transatlantica. Would you consider removing your Daphne laureloa? 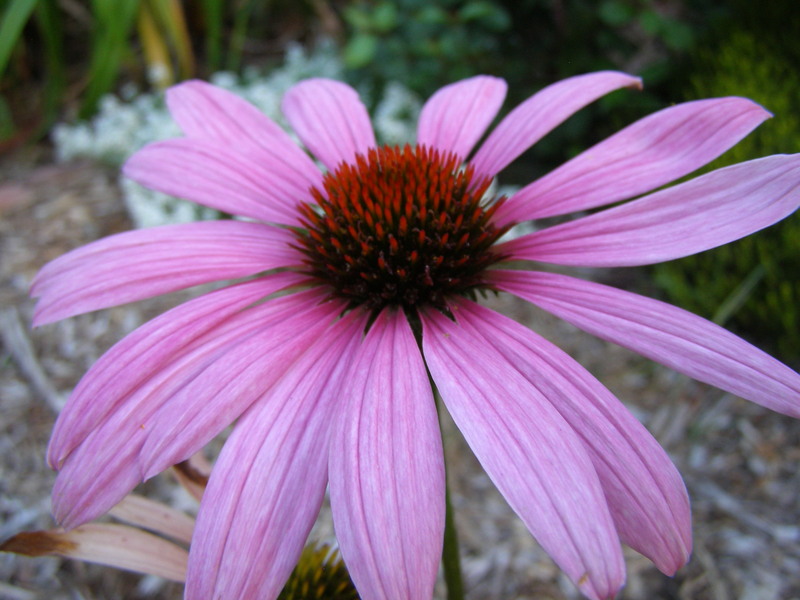 Last month I covered the basics of planning your wildlife garden: Water. Food. Shelter. Don’t use pesticides. 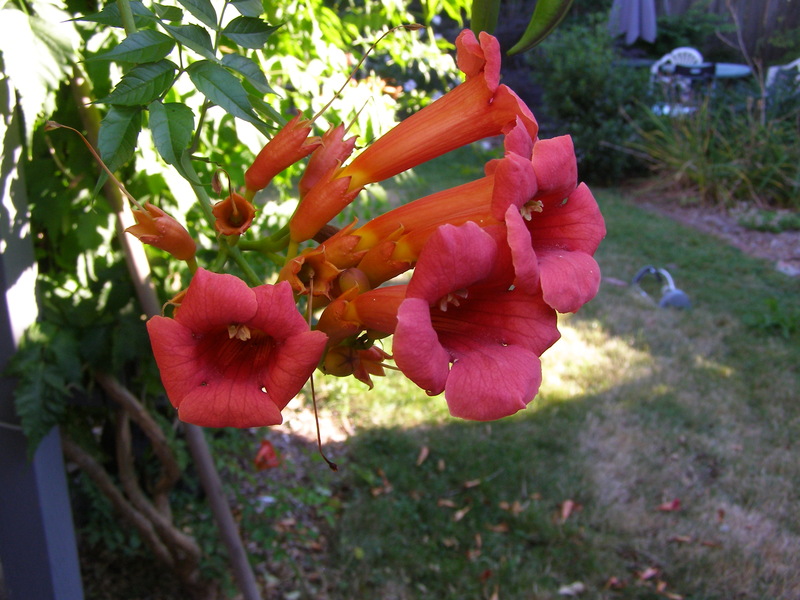 Do plant some natives (NatureScapeBC.ca is a great resource)–here’s a short list of natives for various garden sites. 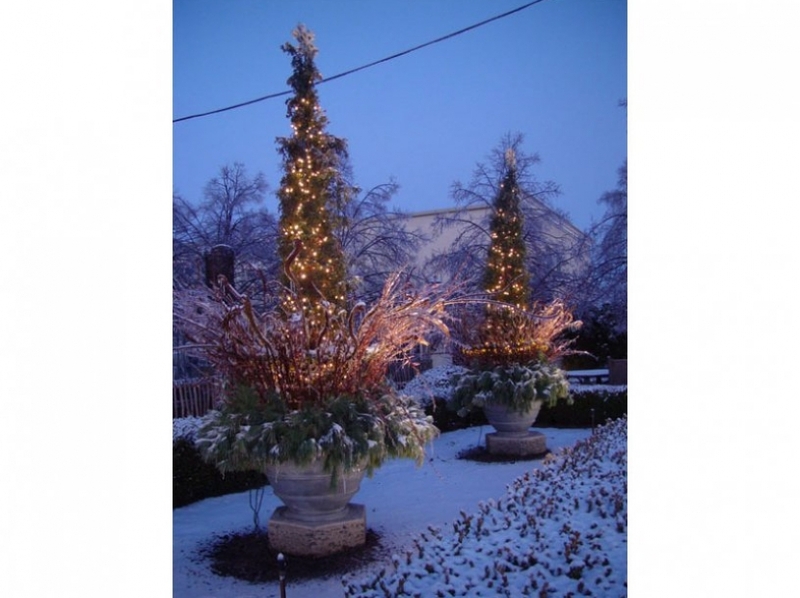 Include a wide variety of plants–flowers, deciduous and evergreen shrubs, ornamental grasses, but enough of all to actually make a statement. After all, this is about DESIGN. 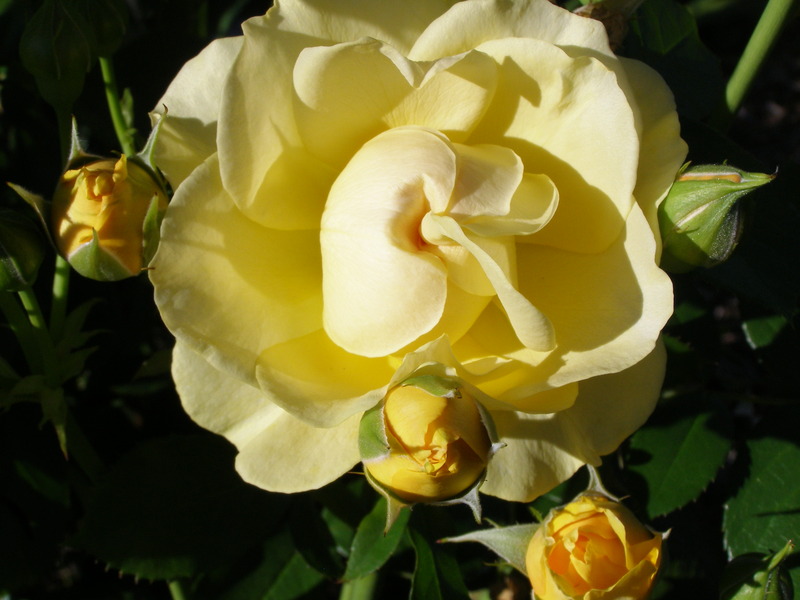 And not too many highly hybridized cultivars which will have very little pollen. I’ve lumped these together because they’ll require similar conditions. Bees and beneficial insects have an affinity for small flowered, fragrant blossoms (not exclusively) which individually don’t have much pollen, but because they are usually grouped together, constitute a treasure trove. 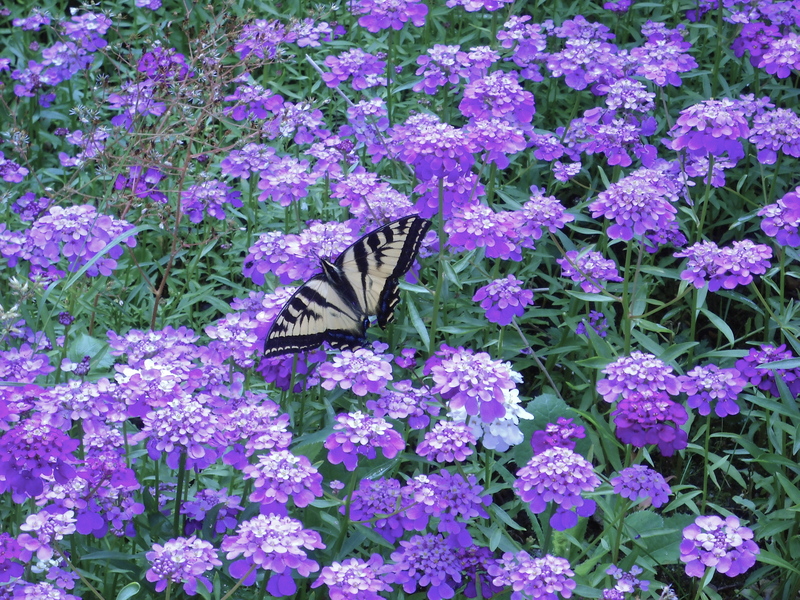 Think of alyssum, heather, california lilac, asters (each aster “flower” is in fact many flowers squashed together). I have an abundance of alyssum, having allowed it to go to seed one year and now it returns every year. Since I mulched all my beds last fall (one of the functions of mulch is to prevent weed seeds from gaining access to the soil where they’ll germinate) I wonder if I’ll get any alyssum this year. Most of our bees will be inactive through the late fall-to-mid-winter time, but having plants that flower in late winter will serve the many species that get an early start in the year. Skimmia, Sarcococca (sweet box), and Hamemelis (Witch Hazel), and Hellebore (Christmas or Lenten Rose) are all winter bloomers that will serve those early bees a tasty breakfast of pollen and nectar. According to Feed The Bees (please follow the link–a local partnership between Earthwise and Delta Chamber of Commerce), the vast majority of our native bees are solitary, non-social bees, having no hives and therefore nothing to aggressively protect. They’re unlikely to sting unless grabbed or stepped upon. If you want butterflies you’ll have to welcome the caterpillars and their voracious appetites. Butterflies are happy to drink the nectar from the same flowers as the bees, but they will want “host plants” to lay their eggs, and without egg-laying, butterflies won’t linger. The host plants are all dependent on which butterfly species, but the bottom line is that they are the sacrifice plant for the butterfly–the eggs turn into larvae, which you may remember is the caterpillar–aka hungry–stage of the butterfly. No problem, locate them in an area where the eaten leaves won’t show up too much. And make sure if you’re growing food crops (in this case all the brassicas–cabbage, broccoli, brussels etc.) you cover them with row covers through the larvae weeks of May to July or even later. Incidentally, if you’re inviting birds into your haven, they’ll often help you keep the caterpillar population down to a manageable number. Who-knows-what-species enjoying my candytuft (Iberis umbellata). Of which I have an abundance! As you know, I’m a mulch-addict. I love how it protects the soil, adds diversity to the soil organisms, and minimizes weeds. But many of our BBB’s want some open exposed soil for nesting. Most of our bees are little tunnel diggers and need to be able to see a dry-ish patch of soil in order to make their nests there. Beneficials also need someplace to nest, and that’s often in leaf litter or a bit of dried grass left in the garden. 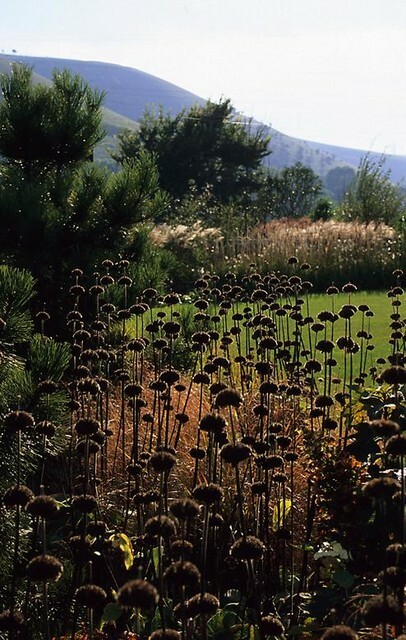 So find a little patch in the sun and leave it a bit more “au naturel”. Those that aren’t tunnel builders like hollow stems or tubes–in many cases man-made are perfectly acceptable–or holes in dead branches or stumps. So again, completely cleaning up your property isn’t necessarily as hospitable as cleaning up your house. These bees and insects will welcome a muddy patch– the edge of a pond or the overflow from a rain barrel will do the trick–using the mud for their nests. I have a garbage can lid carefully positioned so it catches some roof run-off; a nice shallow bird bath that stays a little muddy around it. So there you go: food, shelter, water. Just what your BBB’s are asking for. And you’re started on your wildlife garden. Stay tuned for more, when I’ll cover small ponds. I’m sitting here in the living room doing some computer work, and intermittently something distracts me. I’ve just realized it’s fragrance! I went outside an hour ago just to get some air, and was drawn into the garden by the scent of the Daphne odora, across from the front steps. Beside the front steps is Skimmia japonica, and it was actually the Skimmia that attracted me. So I cut off a few stems and put them in a vase here a few feet away from where I’m working. And carried on working. Every few minutes I’d raise my head–obviously distracted by something, but not really thinking of it–then go back to work. Until I realized I was subconsciously noticing the beautiful scent of the Skimmia. 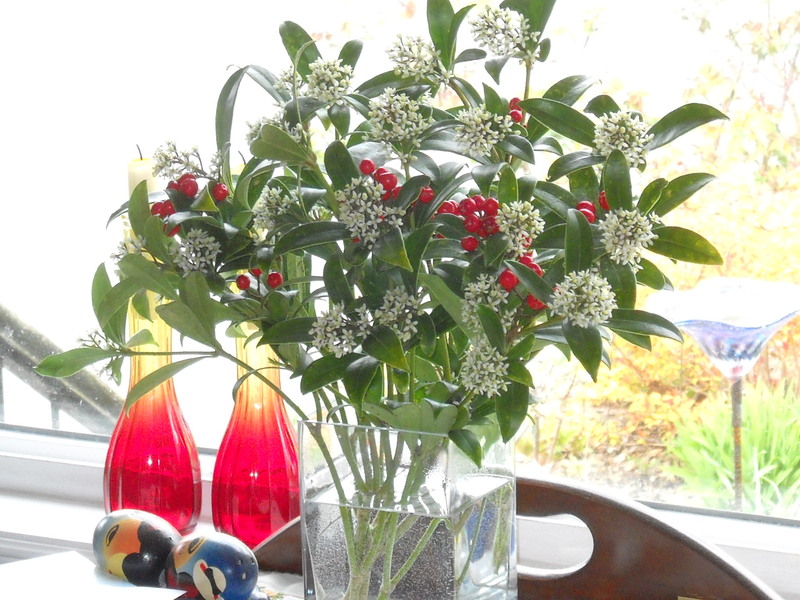 Just a few branches cut from Skimmia leaving the shrub looking untouched. 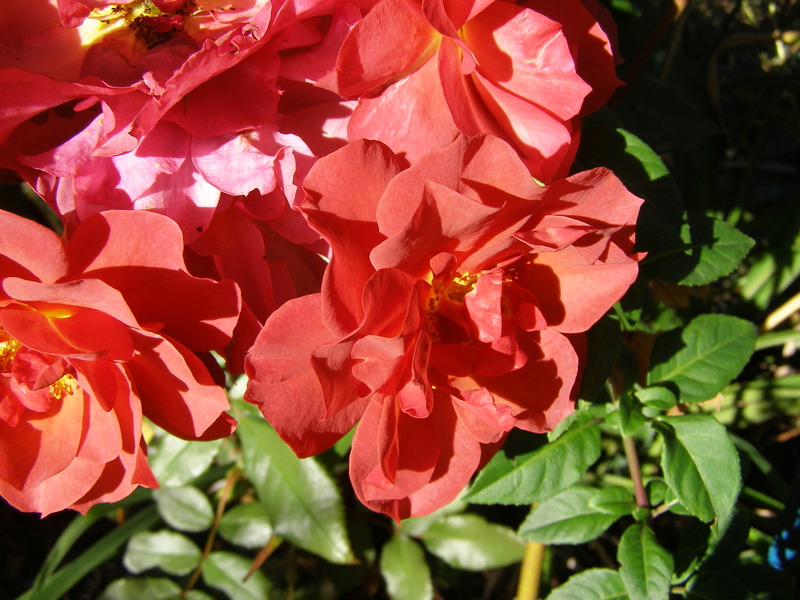 The key to fragrance in the garden is to plant your sweet-smelling flowers and shrubs where they will be brushed against, or otherwise appreciated close enough to actually smell them. 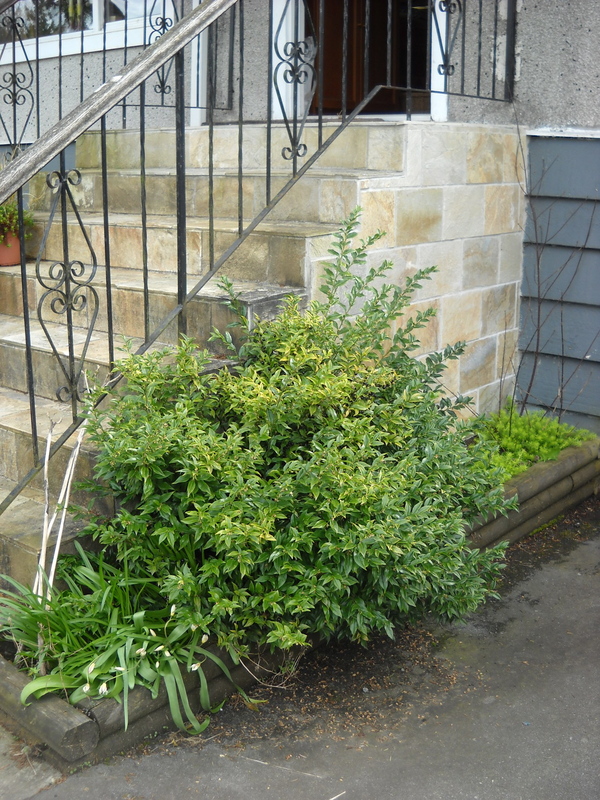 I have Sarcococca confusa on the other side of the front steps, and as I come in from the car, I brush past it. 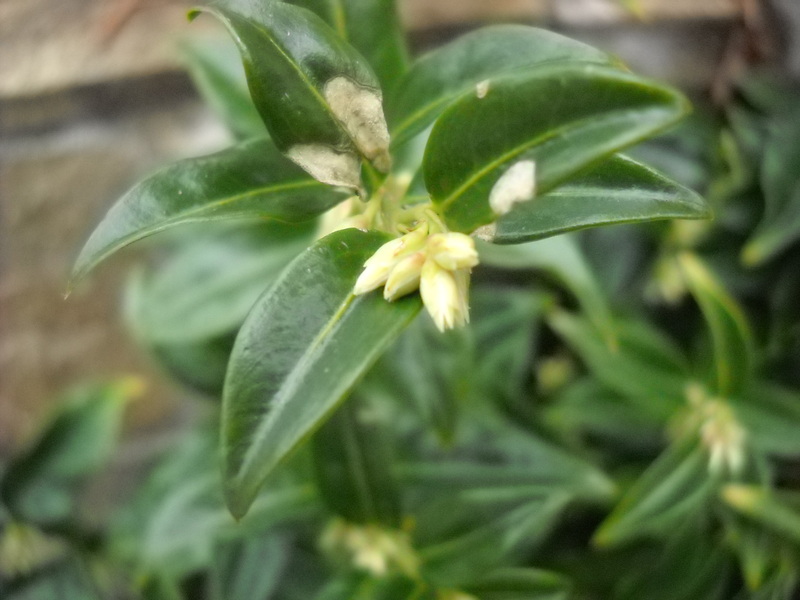 Sarcococca (or Sweetbox) blooms in January, and the surprise of the garden giving such extravagance in the middle of winter makes it one of the more valuable shrubs around. And perfect for coastal BC, where it’s shade loving, evergreen, and pretty much maintenance-free. Fragrant Sweet Box by my front door. I brush by it on the way to and from the car. It’s difficult to tell from the picture, but the flowers are almost invisible, yet they deliver disproportional sweet scent.